This entry was posted in Coin News on November 28, 2018 by . This entry was posted in Coin News on August 20, 2018 by . This entry was posted in Coin News on April 12, 2018 by . This entry was posted in Coin News on March 14, 2018 by . This entry was posted in Coin News on February 14, 2018 by . 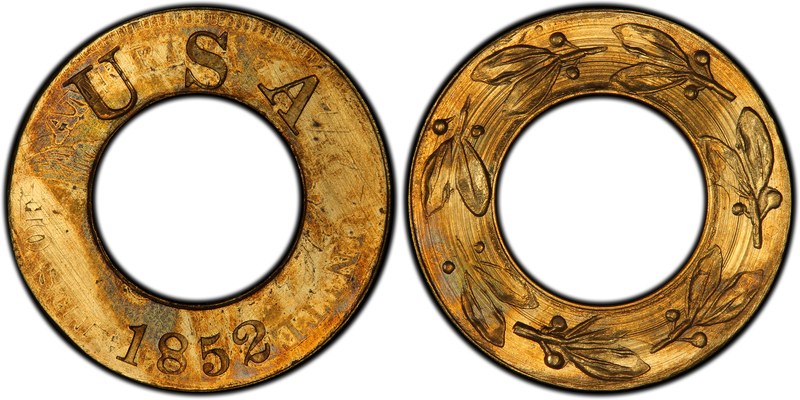 Abe Kosoff, in Judd’s Seventh Edition lists this coin under J-135 as “probably ex-Wilkison.” If anyone knows of the whereabouts of this piece, or has any more specifics, please contact me at rguth@collectors.com. This entry was posted in Coin News on January 17, 2018 by . This entry was posted in Coin News on December 19, 2017 by . If anyone knows of the whereabouts of the third Judd 67 from the Wilkison collection, please let me know in the comments below or email me at rguth@collectors.com, and I will update this entry. This entry was posted in Coin News on November 21, 2017 by . This entry was posted in Coin News on October 26, 2017 by . This entry was posted in Coin News on September 29, 2017 by .